Working in cold environments is not safe. It can damage your skin (frost bite). It can interfere with working safely. Manual tasks are harder, because cold reduces strength and flexibility. And being cold makes it harder to pay attention. 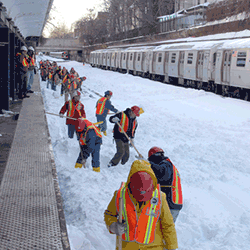 Click here for the Safety & Health Bulletin on working in the cold.